This Pixie Pocket Pouch is super mini, cute and useful. It has an unlimited number of uses. These tiny pocket pouches are very useful to store every tiny objects, such as stitch markers, darning needles or pieces of jewelry, etc. They also has buttons to close the pouches to store the tiny items safely :-). 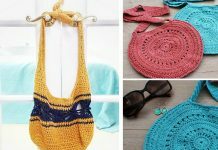 This free pattern is so easy and fun for every crochet beginners, and it is also a good chance to use up your yarn remains. 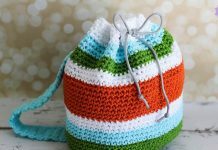 You can easily use the Pixie Pocket Pouch Crochet Free Pattern to make a few. 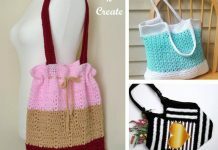 Thanks Ola Ogunlolu for sharing this free crocheting pattern. The link for the free pattern is provided below photo. Happy crocheting.